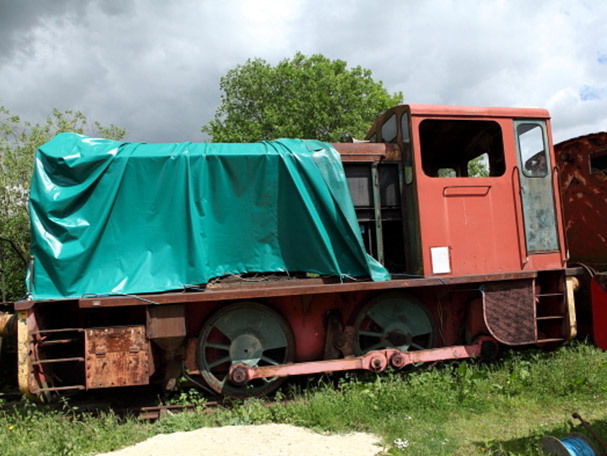 This locomotive was supplied on the 22nd February 1957 to C A Parsons Ltd of Newcastle upon Tyne but was acquired for the Museum from the Tyne & Wear Metro, New Bridge Street Depot, and arrived in Cottesmore on 12th February 1989. The locomotive is under long term restoration and it envisaged that it will return to the operational fleet in due course. The owner is currently collecting a range of spares for the loco which were stripped when it was vandalised at the end of its operational career. He is in touch with the other North British locomotive owners and is keen to gain more information.